YOU GUYS! It's the last Friday of July and I have given you a Font Friday EVERY WEEK SO FAR! After taking so long off, it feels good to finish a month so strong, and I hope you've enjoyed all the selections I brought your way. To end the month, I want to share Ravensara Sans, which I can officially say I am obsessed with. 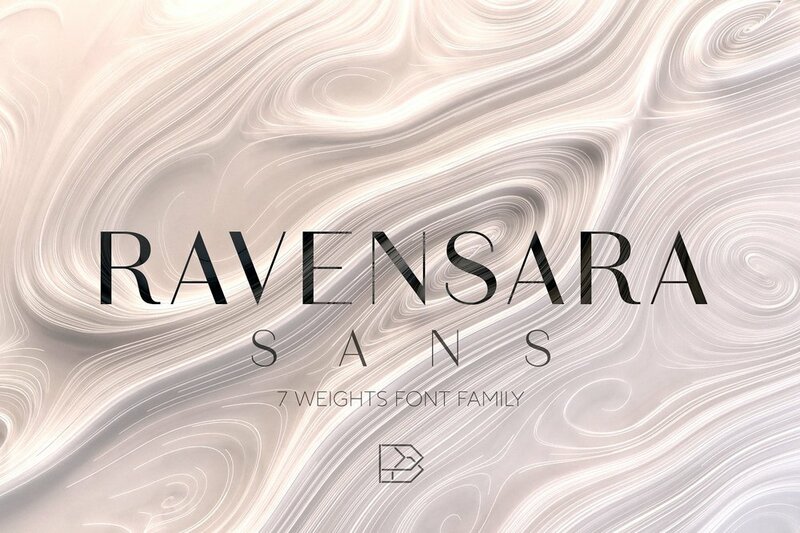 We already know how much I love a font that has weight variation, and I think Ravensara is kind of the sans serif sister to Manhattan, which I shared earlier this month. My favorite feature of Ravensara is that is has SO MANY options when it comes to the weight - from a uniformly thin line, to a chunkier thick/thin, it offers such versatility. Who doesn't love versatility? For just $19, I need to add Ravensara to my must-buy list!